When we tested Orion Coolers earlier this year for our coolers made in the USA research, we were incredibly impressed by their durability – these coolers pack a punch and can take one too. After a great response from our readers about Orion Coolers, we decided to reach out to the team over there and learn more about this great American, family-run business. We got in touch with Bridgett and Damon on the Orion Coolers team, and it turned into an awesome conversation about their history, where they are headed, and an inside look at their products and production process. Below is our conversation with them! Our questions are marked with “AAR” and Damon’s responses are marked with an “OC” for Orion Coolers. Based in Sparta, Tennessee, Orion Coolers got started in 2014 by the same family that started Jackson Kayak. They saw an opportunity to make some of the highest quality coolers in the world when they we’re really dissatisfied by what was out there at the time. As you’ll find out, they have an awesome obsession with quality – using the best materials and a construction process that is built to last. Here is the Orion story in their own words. AAR: Give us a look inside the history of Orion Coolers in your own words. OC: Orion started as an a new brand and off-shoot from Jackson Kayak in 2014. At Jackson Kayak we are known for products where “wow, they thought of everything” is a common response from real world users, and we applied that same approach to Orion. 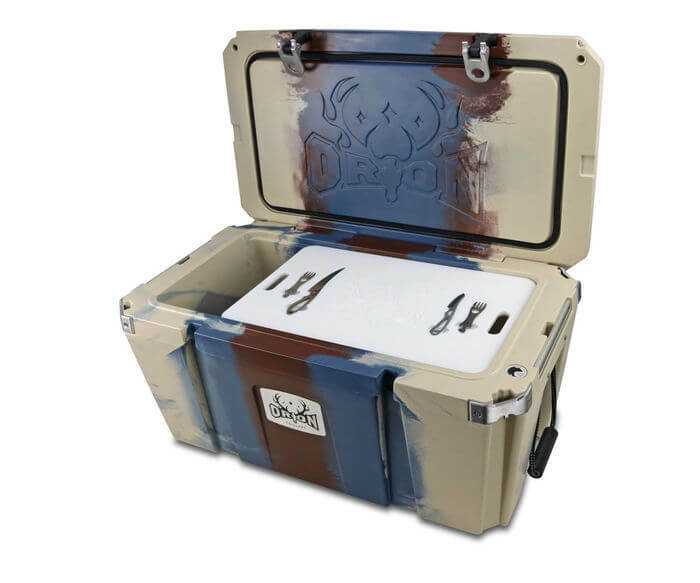 We differentiated in many ways, from multi-colors, to latches, to unique features that let you mount accessories and customize your cooler to be a tool in a wide variety of outdoor adventures and everyday life. Consumers responded to that, and we’re heading into our 4th year with a new product expansion along the same principals. 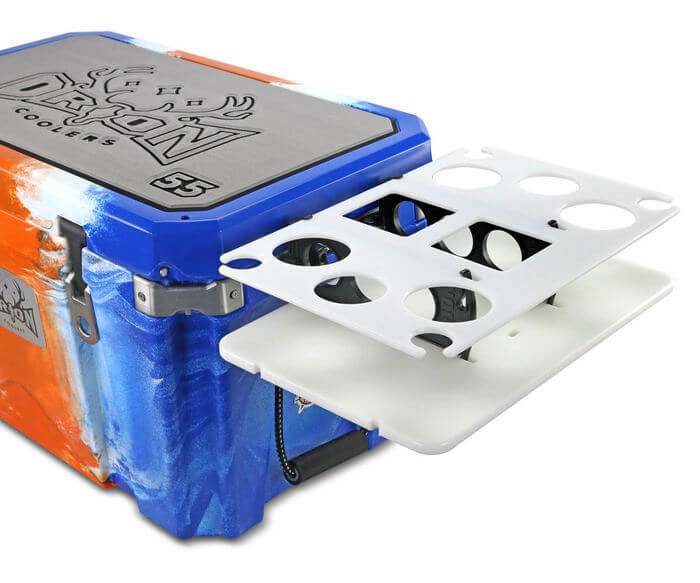 OC: Orion was started to show that premium coolers should be more than an insulated plastic box. The market was dominated by one major player and a lot of copy-cats, ultimately all producing a lot of the same, and we knew we could be different and bring a new level of performance to the market. We already had the molding skill and equipment from the Jackson Kayak side of our business, so once we had a clever design we were ready to rock and roll. OC: We have around 125 employees at two factories in Sparta, TN. OC: U.S. manufacturing is key for us in maintaining quality, innovation, and flexibility in our business. It comes with challenges. We bust our tails trying to get everything we can made in the U.S., and if we “outsource”, we like to say that we do it to places like North Carolina, not Tennessee. We want to employ people in TN and help our local and state economy the best we can. Here is a short video from Orion that gives you a little behind the scenes look at their unique production process in Sparta, Tennessee. Why “Orion”? While it seems random at first, Orion is the name of a great hunter in Greek mythology, dominating land and sea according to the stories. Upon his death, Zeus placed Orion in the stars (hence the Orion constellation). Strength, skill, and timelessness – all traits of this great huntsman that Orion Coolers seeks to emulate in their products. 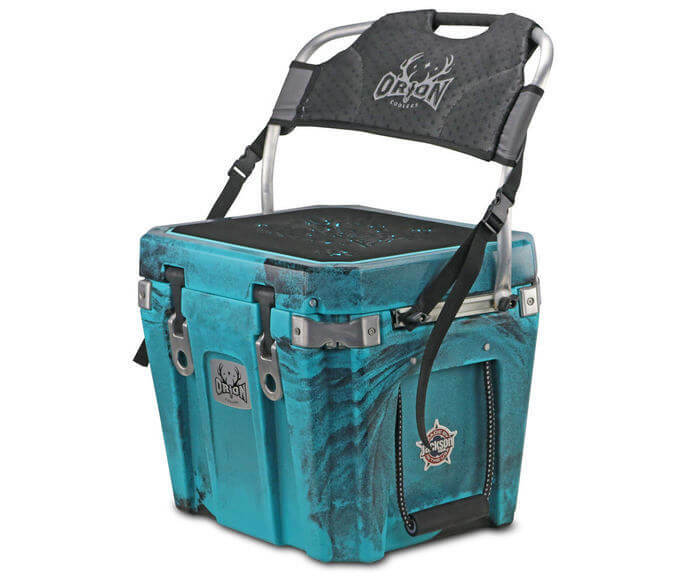 Orion makes a variety of coolers, each with a super unique look and with some awesome features that you don’t see attached to your ice chest that often. Below are some of their most popular products, along with a description of each, straight from Damon. OC: It’s a handle. It’s a seat back. It’s our Handibak! Chill while you’re chillin’ with Orion’s Handibak. This nifty attachment doubles as a single carry handle as well as a nifty backrest that won’t interfere with normal cooler operation. Unless of course, you’re sitting on it. OC: Utilitop uses the YakAttack GearTrac system to give you a dual-purpose cutting board and workstation. It’s the essential tool for serious adventure. Just because you’re in the wilderness, there’s no reason to be uncivilized! Suggested Uses :Margaritas, coffee cups, snacks, and cleaning fish. OC: From serving shore lunches to butchering backstraps, the Orion Buckboard is ready to serve you. Featuring a robust food-grade cutting board with fitted recesses for Buck’s Paklite knives and tools (included), the Buckboard stores neatly under the lid. OC: They love the innovation level and uniqueness of our products. But they also love our legitimacy. They see our staff out living and using our products. They know how to email us individually and get a response. We are a family business and our customers feel like family. OC: We’re different. Our colors are unique — every one molds uniquely like a fingerprint, so your cooler never looks like your neighbors. We solved the ‘wheres the bottle opener’ problem when you pull a beer out of a cooler by building them into the cooler. We offer more tie down points for mounting flexibility. Our track systems on the side let you mount everything from fishing rod holders to side bar tables to our Handibak seat back right to the cooler. We are a lot more useful than just a cooler. AAR: What gets you excited about the future of Orion? Where are you headed? OC: Orion is heading into it’s 4th year and expanding into a whole new market with a new line of Orion “Adventure Dog” Kennels. Once again proving that something can be a lot more than just a plastic box. We love adventures with our dogs, so it’s exciting to see the interest after just debuting them to retailers a week ago (late August 2018). It was an absolute pleasure talking with Bridgett and Damon about Orion Coolers – we are super excited about the future of this great American business. We wish them the best of luck!